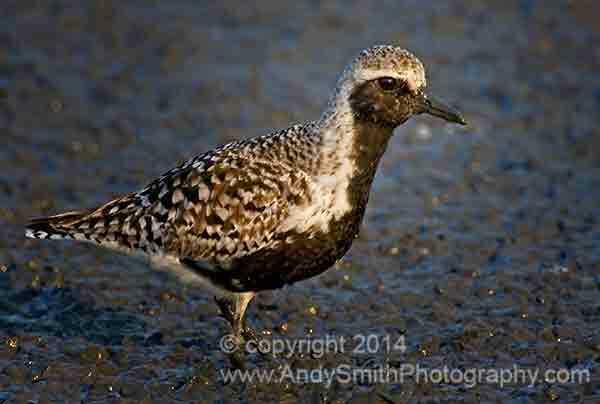 The Black-bellied Plover, Pluvialis squatarola, here in breeding plumage, is a common migrant along the East coast in fall and spring migration. This large shorebird breeds in the low tundra along the Arctic coasts of Canada and Alaska and winters along the Atlantic, Gulf and Pacific coasts of the US and Mexico. This individual is among thousands of other shorebirds that stop on the mudflats at Heislersville, New Jersey, in late May and early June.